Samsung says two different battery flaws were to blame for the fires that plagued its flagship Galaxy Note7 smartphone throughout the fall, leading to two separate recalls and, ultimately, the permanent withdrawal of the model from the market. The details are being released after an internal investigation, following weeks of speculation by reporters and analysts about what the company’s report would conclude. 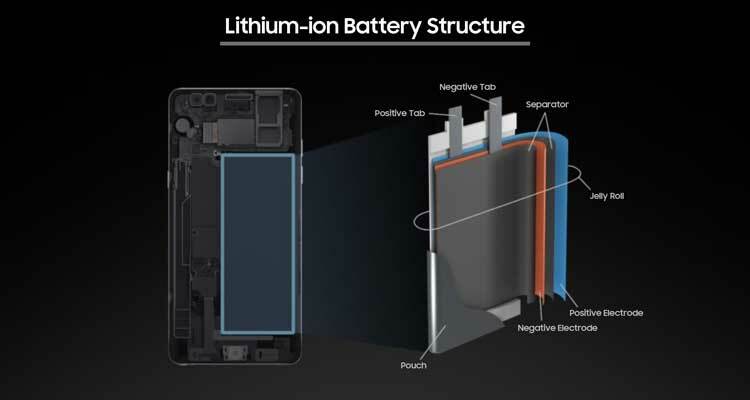 It has been known since early on that the phones’ lithium-ion batteries caused the explosions and fires, which began to occur around the globe shortly after the model was launched to consumers on Aug. 19, 2016. The Note7 fires became a staple of news in the fall, leaving in their wake damage including a destroyed Jeep, some injuries, and the evacuation of a Southwest Airlines flight. Soon these, too, started catching fire and a second recall was announced on Oct. 13. The saga of the Galaxy Note7 is ending with a singular accomplishment: one of the most successful recalls in history, as measured by the number of products that were recovered from consumers. As of mid-January, Samsung says 97 percent of all Galaxy Note7 smartphones have been returned in the United States, and 96 percent worldwide. One reason for the success of the recall was the steady beat of publicity, both from news outlets and other sources. For instance the Federal Aviation Administration banned Note7 phones from flights, and until Jan. 10 the agency required airline personnel to make announcements telling passengers not to bring the phones on planes. Samsung dispatched customer service staff to the country’s 22 largest airports to help facilitate returns.